I publish a new lesson every Tuesday, but yesterday I ended up not having the time to do it. I had a super busy day. So today I decided to write this first thing in the morning. Otherwise, I would end up not publishing the new lesson. It is very easy to use this structure in Portuguese. We can create a direct bridge from English to Portuguese. Let’s see this in two parts. The first part of the sentence is: to end up. In Portuguese, we use the verb Acabar, which means to finish, to end. It is a regular verb. You can also use the verb Terminar. It means the same and is also a regular verb. In the second part of the sentence, you will use the present continuous or present progressive, just like in English. In other words, you will use the –ING tense, which in Portuguese is the –NDO verb ending. I have a lesson on the present continuous. It is the verb tense that we use to say that things are in progress. Go to the lesson here. Below are examples of full sentences. Ana: Vai trabalhar até tarde hoje? Rosa: Preciso terminar este orçamento ou vou acabar perdendo o cliente. Ana: Are you going to work until late today? Rosa: I need to finish this quote or I will end up losing the client. Ana: Você foi à praia no sábado? Rosa: Não. Dormi até tarde e acabei não indo. Ana: Did you go to the beach on Saturday? Rosa: No. I slept in and ended up not going. Ana: Ainda não chegou. João é meio desorganizado. Ele sempre acaba chegando atrasado. Ana: He hasn’t arrived yet. João is kind of disorganized. He always ends up arriving late. The best way to retain new learning is by practicing. To learn a language well and become comfortable with it, you need to speak the language. Software, apps, books, videos, everything helps, but nothing can replace real-life practice. 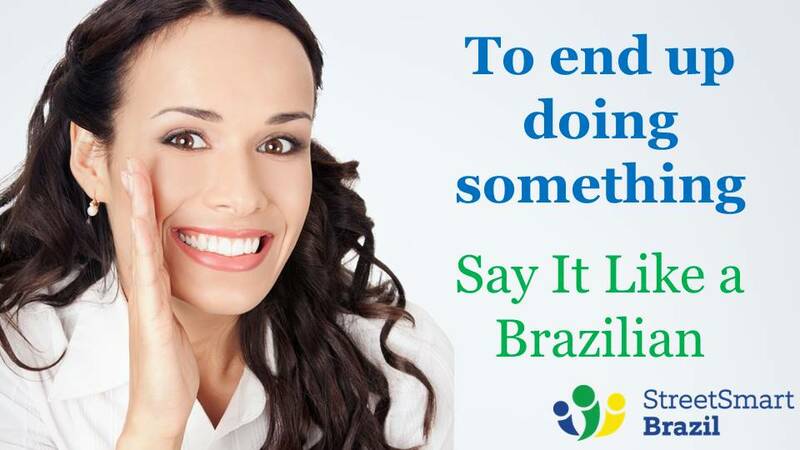 Speak Portuguese that you can be proud of. 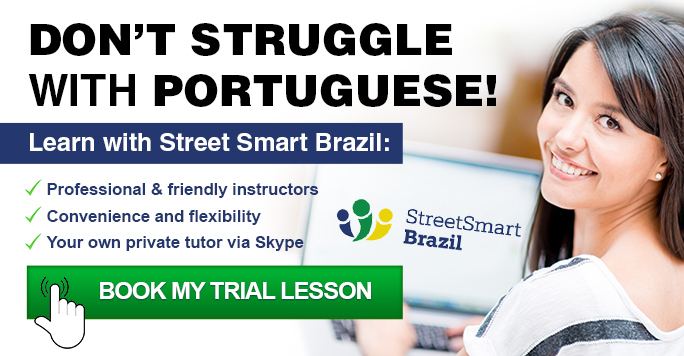 Book a Trial Lesson to start practicing with a Street Smart Brazil instructor. Eu acabei de acabar perdendo outro cliente. Your videos and explanations help me so much! I am learning Portuguese by myself, and you make it so much easier for me. Muito obrigado! Actually you have given an excellent explanation.